If you have a lot of events and find it difficult to display or organize them all in a nice way, then the custom event list templates may help. 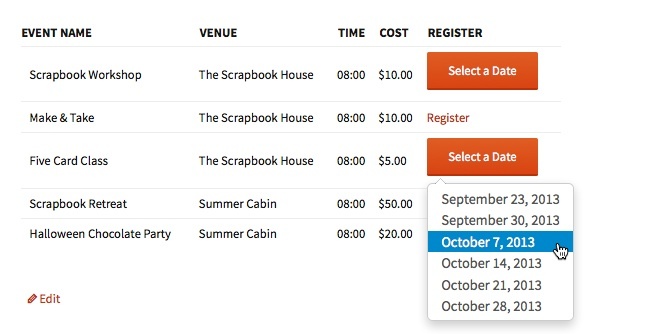 With the Custom Templates Add-on you can easily build a custom event list layout (or use/purchase a few that we’ve already prepared) to make your website more beautiful and easier to use. This is the default template. 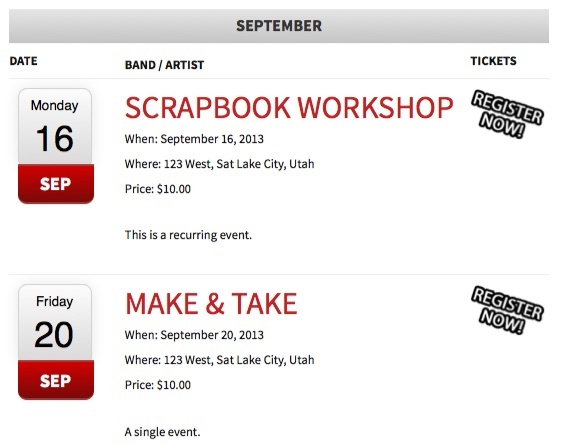 It is a classic table structure for displaying events, with a category filter dropdown. 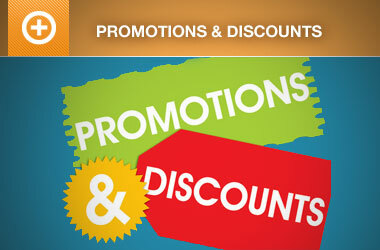 Works with Multiple Event Registration. 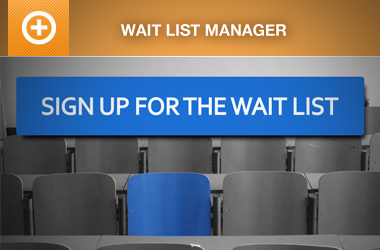 A list style template, with a bold date and customizable register now button. The template can be customized to show the event thumbnail, instead of the date by using the show_featured=true parameter. If you wish to change the Band/Artist title, use the change_title parameter. Similar to the CSS Dropdown template, the Category Accordion template displays the categories in a simple list. On clicking the category name, the events associated with that category will be displayed in brief. Clicking another category, that will open, but the previously open category will close. Please Note: Currently the Category Accordion does not work with the Multiple Event Manager add on. Displays events in a pure CSS grid like structure, using the featured image. Hovering over the image will display further information. 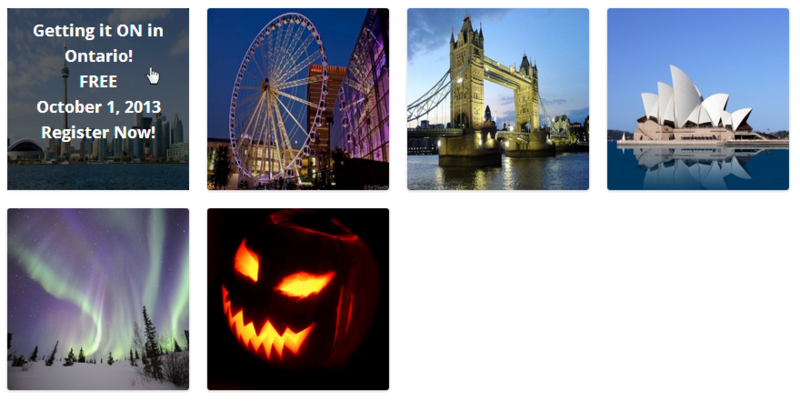 If the event does not have a featured image available, it will use a default one. Optionally, a small code change in the template can allow you to use the Organization Logo from the General settings as the fallback image. This template makes use of SVG maps and the venues. Each event in the event list that has a venue attached will be scanned to get the venues State, and a map of the USA will then highlight which states have events. Clicking the state will display the events below the map. There are four maps available: USA, UK, Canada and Australia. Important – Due to the use of SVG files, this template will not function on Internet Explorer 8 or lower. Please also note that states/provinces/regions can be entered in long form or short form, for example New York or NY, or Victoria or VIC. Please see the template file for a full list. The UK map is a little different, as there is no short form variants, and London venues must have London entered into the state field or it won’t work. 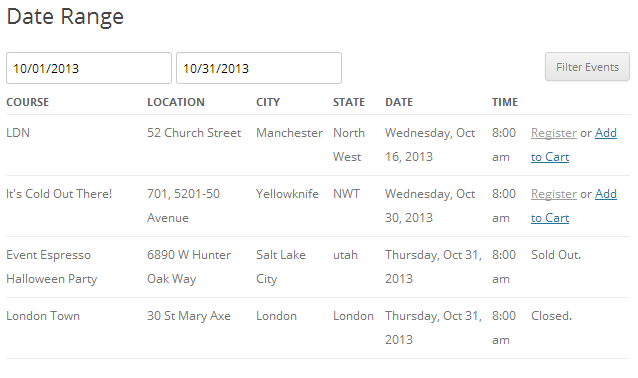 This template uses a basic table structure and allows you to set date range of the shown events. It also allows the user to manually filter the displayed events by date as well. This template is great for listing events in a table, but also adds support for recurring events by displaying a button that lists selectable dates of the events. 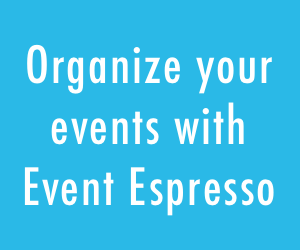 Dozens of Event Espresso users have found these templates useful to display events in a way that better fits their needs. We hope you’ll find a template that helps you too. How could we easily achieve this in EE4?